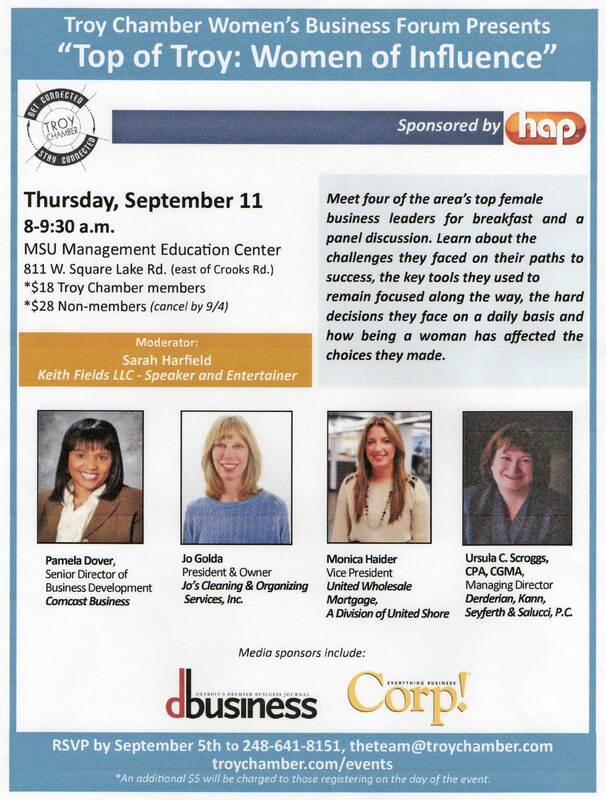 Meet four of the area’s top female business leaders for breakfast and a panel discussion. Learn about the challenges they faced on their paths to success. To attend, please respond by September 5th. Tickets available right up to the date of the Forum. Jo would like to personally invite you to come and learn & enjoy at the same time. If you need some ideas or thoughts on where to begin with starting your own business, this is your opportunity ask questions and hear from other women who have gone through the many challenges it takes to get your own business going and growing.